As a start-up or an existing business, it’s important to have your social media accounts setup and maintained. According to Alexa, the most used social website in Malta is Facebook. And that is not just for Malta, but also Globally. Most of the businesses in Malta have a Facebook account, and whilst it’s very good to increase traffic for their website, it also lets clients keep in contact directly with your business. Read the next tips to help you setup and update your Facebook page for your business. If your page name is not available, you can always add Malta as a suffix or prefix, or add an underscore “_”. In our case, we decided to use DeepDesignMalta as our Facebook page name and our Twitter page, as it was available for both social media websites. On Facebook, unlike other sites, you are required to have at least 25 fans to be able to choose your unique page name. For your Profile Photo, we suggest that the image uploaded should be 300×300 pixels (the suggested size is 180×180 but it will not show as sharp as 300×300). The image selected will be displayed as 160×160 pixels on Facebook. In the profile photo, you should show your company’s logo, as this will be the main picture used when commenting using your business page. If your company logo is too wide, we suggest to either use part of the logo or if the logo is made up of an image and text, show the image part only. If your business has two words in the logo, you could show the words on top of each other if possible. If you set a wide logo as your profile picture, it will display really small on Facebook as it will reduce it to a width of just 160 pixels. 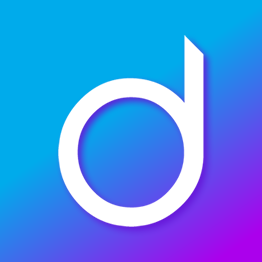 For Deep Design, we used the first letter of our logo which has a distinctive edge as our profile picture and chose to show our main colours in the background. For your Cover Photo, Facebook suggests that your uploaded image should be 851×315 pixels. Your cover photo should be the showcase of your business. If you launched a new product, or have a new service available for your clients, it should be featured on the cover page. Also remember to always add your logo. For Deep Design, we decided to show the logo prominently and list the services that we currently offer. 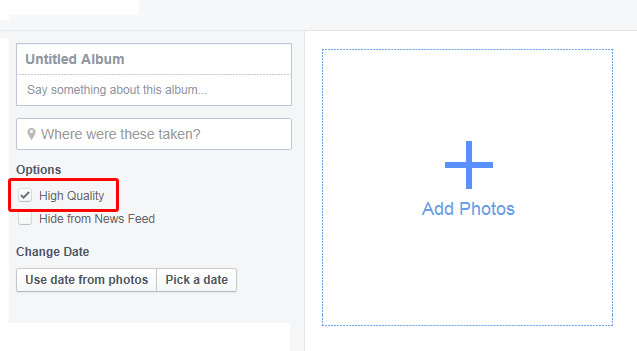 When adding or updating your profile picture and cover photos, we suggest to first upload them in an album and then choose your photos from the album. This is because when uploading pictures to an album, you can choose to upload the photos in High Quality by checking the check box on the left. Now that you have created your Facebook page with high quality images, keep in mind that by just having a page is not enough, you also need to add content and update it regularly. We’ll show you some tips of what type of content you can add in another post. If you need help setting up or more information you can leave a comment at the bottom or say hello with an email at hello@deep.com.mt.